A birthland tour is a wonderful opportunity for adoptees and their families to see the sites and appreciate the culture of their birth country, but its importance is much deeper than that: it is also a journey of self-discovery for adoptees. "Ever since I can remember, I have had some questions floating around in my head about me being adopted," recalled Michael Brannon, who was adopted from Korea as an infant and returned to his birth country for the first time last year as part of Dillon International's Visit Korea Tour. Birthland tours provide adoptees with a better understanding of their adoption and the people involved in that process. They have opportunities to meet people related to their adoption such as their birth family, foster family, or the doctor or midwife who delivered them. They meet social workers who were involved in their adoption process and visit the adoption agency and see their adoption file. They visit orphanages where they stayed before their placement and meet orphanage staff or caregivers. If they were abandoned, they may visit the road or house where they were found. These are important puzzle pieces that assist the adoptee in understanding who they are and where they came frominvaluable tools that eventually give them a realistic picture of their past life. One activity of the tour is to visit a facility for unwed pregnant women. The facilityEastern Social Welfare Society's Sharon's Homeprovides the women with emotional and physical support throughout their pregnancy. Older teen and adult adoptees, along with their adoptive parents, meet with a group of women who are considering placing their unborn baby for adoption or who have already placed their baby for adoption. A facilitator leads the meeting, which lasts for about two hours. "Of all the amazing experiences I had in Korea, the evening at Sharon's Home was by far one of the most memorable and life changing. It was a night of healing that gave me a sense of peace I've longed for my entire life," said Jaemi Bowers, an adult adoptee who traveled with Dillon International's birthland tour last year. "I distinctly remember my feeling of compassion and admiration for these young women who were kind enough to share their personal stories, dreams, tears and laughter with us." The meeting is a time of healing for all involvedadoptees, their adoptive parents and the women. Adoptees and their parents come to understand how hard the decision is for women to make an adoption plan; they see their struggle and their sorrow. The adoptees and adoptive parents also learn about the social stigma faced by unwed pregnant women and single parents. Because Korean society does not fully accept unwed pregnant woman, they could not get appropriate support, even from their family, and finally turned to Sharon's Home for assistance during their pregnancy. "I understand that in the position that these ladies are in it is tough and might be looked down on, so there are not very many choices. I am really glad they choose adoption and not abortion. A least with adoption they are giving a priceless gift to someone that is looking for someone to love and take care of," Brannon said. The meeting also gives the unwed mothers insight into how adoptees and their adoptive parents view birth parents. Most women ask the adoptees if they are angry at their birth mother and the decision she made. Women want to know what the adoptees lives are like in an American family. Women will re-live the decision they make for their baby and, at the same time, the meeting confirms for them that it is a right decision. "I was worried. What if I made adoptees and adoptive parents feel bad at the meeting? 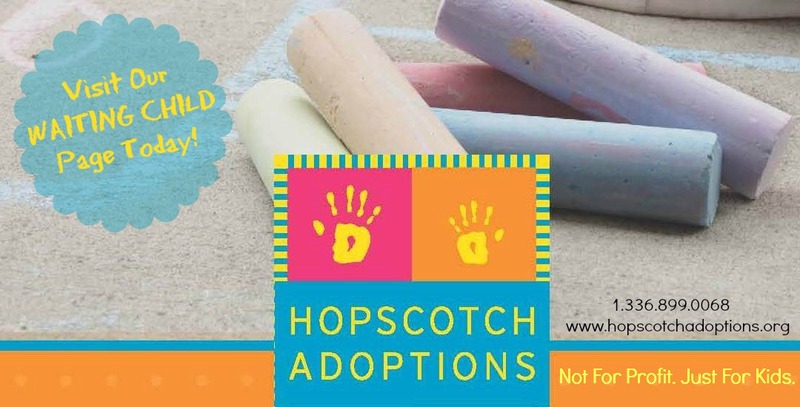 But I wanted to know what adoptees think about adoption and themselves and wanted to let them know I love my baby and will love my baby forever, sharing my heart with them," said a birth mother who participated in a meeting last summer. The meeting concludes with all the participants hugging. It is an emotional and unique experience that is life-changing for all involved. In facilitating these meetings over the years, I have witnessed that things are always tense and emotions overwhelming at the beginning. As the meetings progress, everyone is touched by the sharing of hearts and thoughts. Through talks, tears, and hugs, the three sides of the adoption triangleadoptees, adoptive parents, and birth parentsfind healing, comfort and encouragement. "Our tears bonded us and I feel we are a family hoping that my unborn baby and I will be able to live happily in full blossom of smiles. I am so relieved by the meeting. I am so encouraged by adoptees and adoptive parents who care for birth parents," one birth mother said following the meeting. "To be honest, the whole experience was a bit surreal. There I was with these women in the same room, seated at the same table, and yet two vastly differently cultures separated us," Bowers said. "I spoke to them as though they were my birth mother and they spoke to me as though I was their child. The more experiences these women shared, however, the more I came to understand my own birth mother's experience and difficult position. If I had just one more minute with these women, I would tell them, 'In the same way you will always love us regardless of where our respective lives take us, we, too, will always love you.'" About the Author: Dukkyung Um, MSW, is director of Dillon International's Korea program. 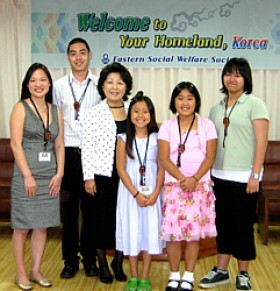 She has led the licensed, non-profit agency's birthland tours to Korea and facilitated meetings with birth mothers since 1996. She is currently preparing for this summer's Visit Korea tours, including a special tour group for adoptees, June 24-July 5.